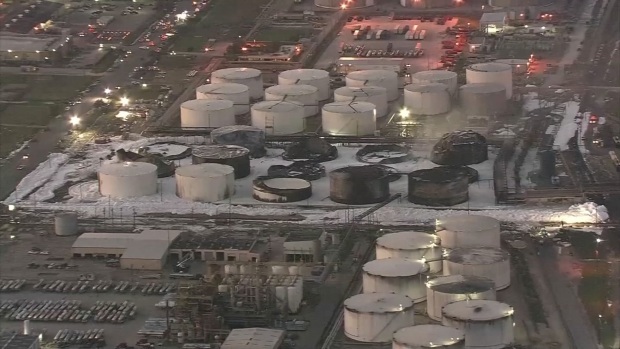 International Terminals Company said the blaze in Deer Park, a suburb near Houston, was extinguished as of 3 a.m. Wednesday. 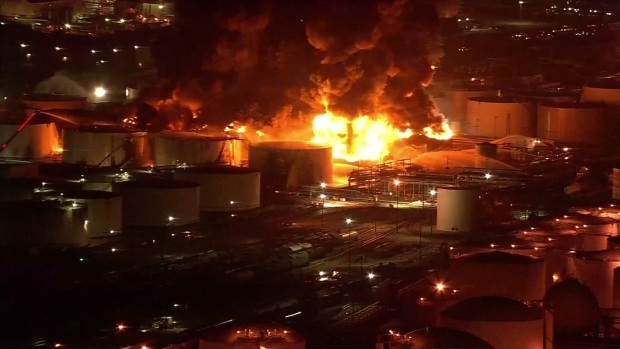 The fire began Sunday at the facility southeast of Houston, sending a huge, dark plume of smoke thousands of feet in the air, though officials said air quality remained safe. 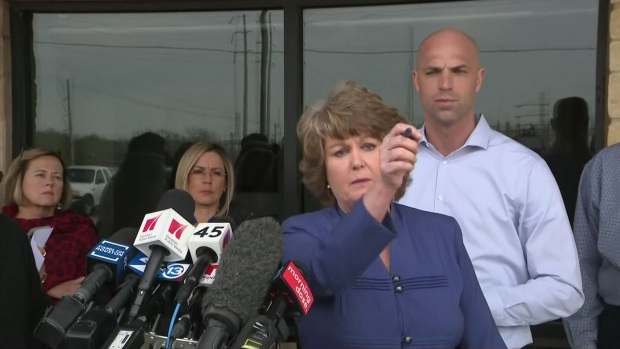 Intercontinental Terminals Company spokeswoman Alice Richardson fights tears when asked if the company would apologize to the community of Deer Park during a Tuesday morning news conference.